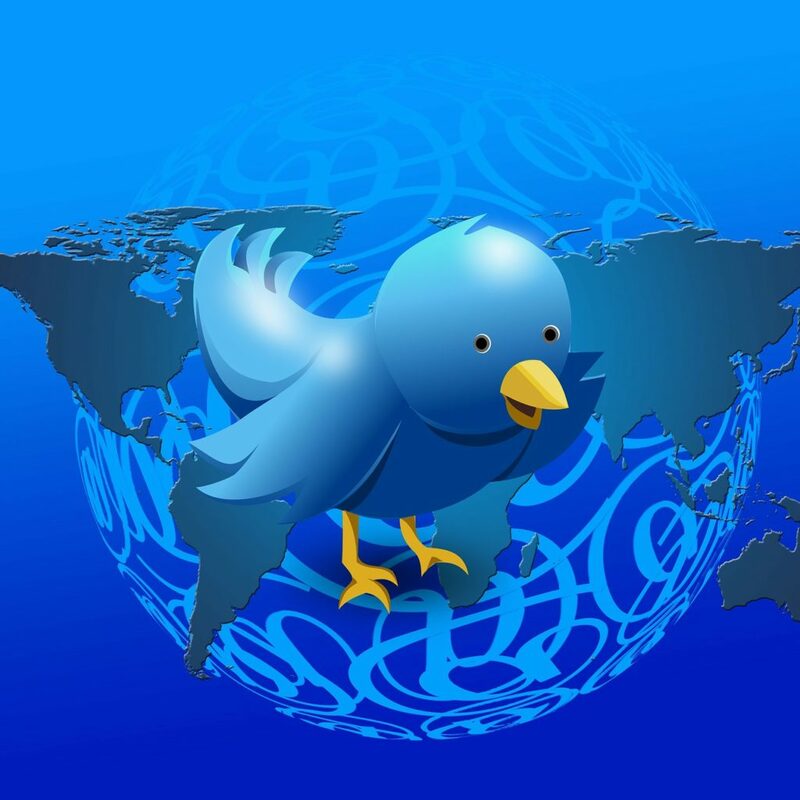 Using Twitter to improve your SEO might not seem the most obvious avenue in which to concentrate your efforts. The micro-blogging platform is a very large network indeed, and on e of the most popular social media outlets used by businesses in building their brand and online presence. Social media is becoming more and more the voice of brands, and so it is imperative that you utilize it to make the very most of your SEO efforts. So, below we’ve put together a few tips for you to consider whilst tweeting to make the very most out of your SEO campaign. This might seem obvious, but simply having a Twitter account will do nothing to improve your SEO if it is not active and you are not using it to engage with your followers regularly and meaningfully. You have to do more than post links to your own site and your own content. You have to use it to share breaking industry news and to foster discussions on relevant topics. As with all social media, it’s not simply about presence, but about building trust in your brand and in you as an industry professional. This means that you have to establish links and conversations with other industry professionals to show that your network is credible and you own voice authoritative. Twitter is a social platform, so use it socially, and you will find that you will gain a larger engagement from your following, who will then be more likely to click on the links to your sit and your content when you do post them, thusly improving your SEO. Your brand name should be your username if at all possible – or at least a recognizable variation of it. This is what will be displayed as other Twitter users tweet about you using the @username. Ideally, you will be hoping to create some very retweetable content, and, with each retweet that you get, your @username will be displayed each time. The more retweets that any given post receives, the higher its significance, and so will your @username for SEO purposes. You will include your website on your profile page, thusly reserving the limited wordage of your bio for explaining a little more about who you are. Maximize it and make it all relevant to your website. As for the link to the website itself, always make sure that it links to a landing page that is optimized for creating conversions, rather than just your homepage. Google is now returning tweets in SERPs. Therefore, the links that you include in your tweets will be discoverable by the search engine (despite those links being no-follow links). Putting links in your tweets will naturally aid your link building strategy, and thusly convert into greater traffic and SEO. So, make those tweets as discoverable by search engines as possible, by accompanying them with some well thought out keywords. You can of course post the same link several times in different tweets – though don’t overdo it – thusly maximizing the linked content’s exposure. Just because tweets can only be 140 characters long, that doesn’t mean that you can get away with sacrificing the quality of your content. A well composed tweet is just as likely to encourage engagement as any blog post that you might have spent hours agonising over. Retweets enhance your importance in the eyes of Google, and the only way to ensure that is to produce tweets that are infinitely retweetable. This of course means that the content of anything that you are linking to in a tweet must be of extremely high quality as well if it is going to attract interaction and retweets. So, make sure that it is in the first instance. Quality content doesn’t just come in the form of witty tweets and links to excellent blog posts, however. Competitions and discount vouchers are also great content that are likely to attract a high amount of interaction, and thusly will improve your SEO. The better the quality of your content, not only will it mean that you will enjoy a higher level of interaction from your existing followers, but it will also mean that you can expect to start garnering a larger following as you go along as well. And, the larger your following, the faster it grows, and the more important you appear to be to Google, which is the ultimate goal of the SEO game. SEO for Twitter is perhaps the fiddliest of all SEO techniques to master. The nature of the platform with its tiny posts and noisy members means that it can be hard to make yourself stand out amongst all the chatter. But that only means that your efforts need to be even more focussed, and it pays to bear in mind that SEO for Twitter is not something that all of your competitors will be considering. So, make sure that you do, and you will be sure to be more discoverable than any of them, and then you can use your tweets to improve the overall SEO of not only your Twitter account, but your website, your blog and brand as well. Thanks for the post! SEO is very easy when you fully understand it. This article is great for just starting out with SEO. Obviously I do agree that we need to have good strategy to get more engagement through twitter and we can get more authority through this for our links.